Mr. Pontius focuses on international tax and tax controversy. Mr. Pontius has an Avvo rating of 10/10. 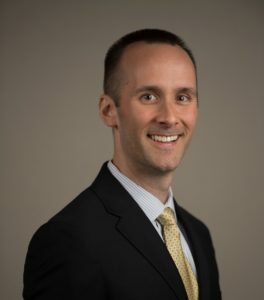 He was selected as a Maryland Rising Star in tax by Super Lawyers from 2015-2018. In 2018 he was selected a Washington, DC Rising Star by Super Lawyers. He is a third generation native of Montgomery County. Mr. Pontius regularly advises clients on the Offshore Voluntary Disclosure Program, Streamlined Domestic and Foreign Offshore Procedures, Report of Foreign Bank and Financial Accounts (“FBAR”) and Foreign Account Tax Compliance Act (“FATCA”). He has international tax compliance experience reviewing various informational and income tax forms. Mr. Pontius has extensive examination experience with federal and state audits, protests of proposed adjustments and audit reconsideration. He represents clients on tax liens and levies, collection due process hearings, offers in compromises and requests for penalty abatement. He has experience with employment tax issues such as worker classification and the trust fund recovery penalty. Prior to founding Pontius Tax Law, LLC, Mr. Pontius practiced for five years at Maryland tax controversy law firms in Rockville, Annapolis and Bethesda. Mr. Pontius has two years experience in the international corporate tax group at KPMG in Tysons Corner, Virginia where he researched and analyzed a wide range of complex tax matters in the areas of compliance, provision, planning and restructuring. At the accounting firm, Mr. Pontius worked with a broad range of U.S. multi-national and foreign owned clients doing business as corporations and partnerships in the communications, financial services and defense contractor industries.